Better Homes and Gardens grow with us. When Better Homes and Garden Real Estate needed to rethink its interactions with consumers on the Web, it turned to us. We developed new ways of engaging and building relationships among home shoppers, real estate brokers and multiple listing services, and created a revolutionary new way to make search results more useful for website users by using lifestyle sorts as an indicator. The result: Better searches. More opportunities. Happier visitors. Visit the site. 2015 Television commercial touting the new features of the BHGRE redesign. 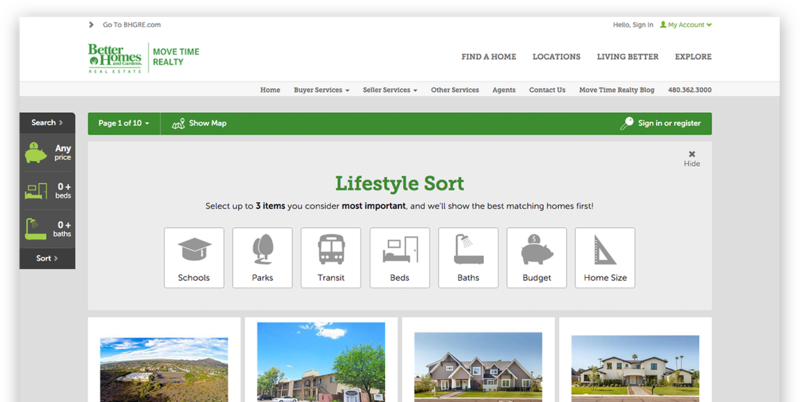 The heart of the BHGRE site is the Lifestyle Sort. 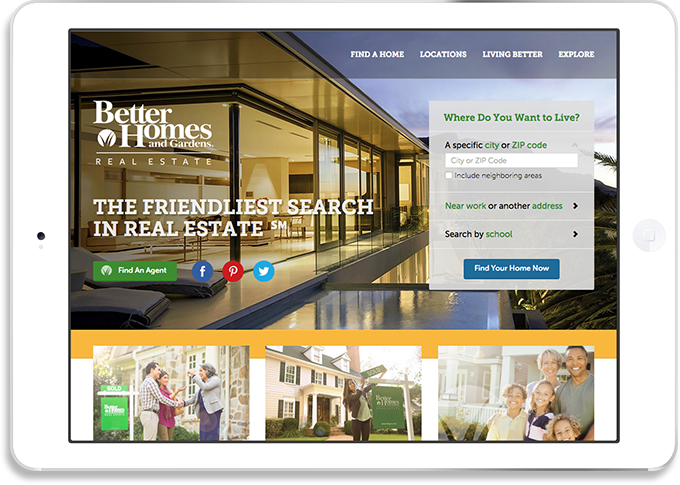 Cyberitas worked closely to help create the friendliest search in real estate.